A hardy perennial quite different from bedding lobelia, this variety has earned the Royal Horticultural Society's Award of Garden Merit. 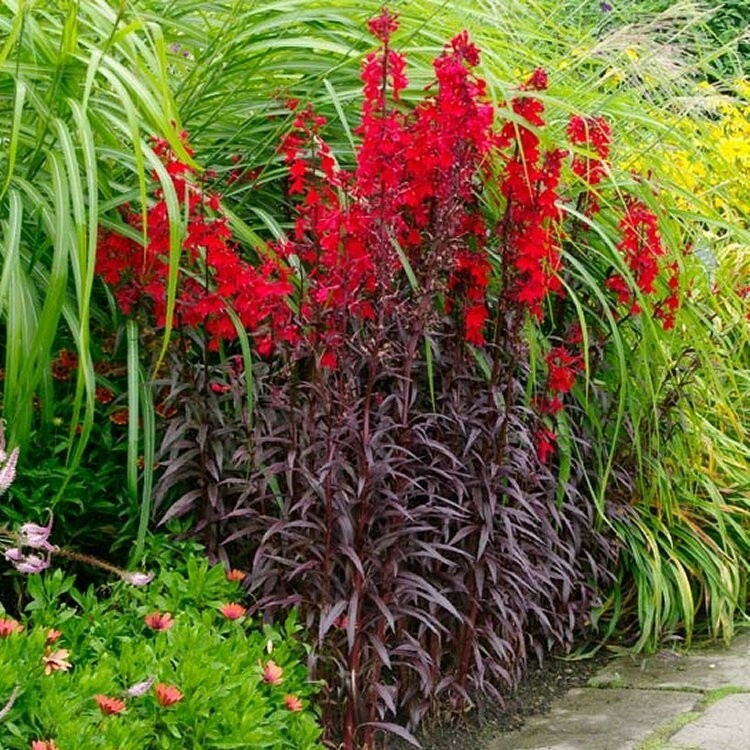 Bright scarlet flowers are produced throughout late summer over bronze foliage. Growing up to 90cm (36 inchs) tall it can also be used as a cut flower and is best when planted in a group. Supplied in approx 1 litre containers.